No matter how good the battery is on your smartphone, if you’re using it heavily, it will barely last you an entire day. For some people the reality is even worse, with an old iPhone 5 I used to have, if I managed to get eight hours of life from it, I’d consider myself very lucky. Things got even worse as the battery aged. But, there’s a long-held belief that charging your smartphone in short bursts will cause long term damage to the batteries, and you’re better off waiting until they’re close to dead before charging them. But this isn’t true according to a site belonging to battery company Cadex called Battery University. 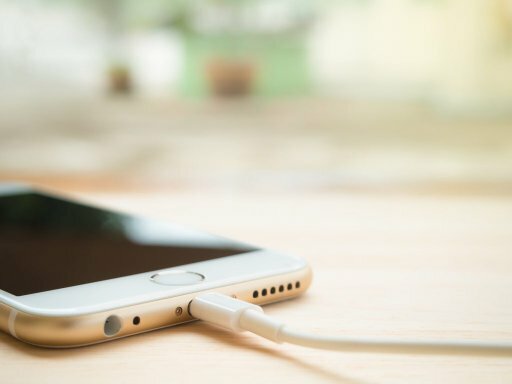 They argue that leaving your phone plugged in when it’s fully charged (like say, if you put it charging overnight) is bad for the battery in the long run. Once your phone reaches the desired 100% battery when it’s plugged in, it receives “trickle charges” to maintain the battery at full charge. This keeps the battery high-stress, high-tension state that wears down the chemistry within the battery and is bad for it in the long run. Therefore, you should plug out your phone as soon as it’s charged, and don’t leave it charging overnight, which we guess about 98% of the population do. You don’t even need to charge the battery fully every time you use it. “Li-ion does not need to be fully charged as is the case with lead acid, nor is it desirable to do so. In fact, it is better not to fully charge because a high voltage stresses the battery,” according to Battery University. Basically, anytime you’ve a spare few minutes, you should try and plug your phone in rather than doing one mammoth charge at the end of the day. Hope you have been able to comprehend this?